Company: SuperLenny.com is operated by Betit Operations Ltd, a company registered in Malta with registration number C60173 and address Central North Business Centre, Level 5, Fawwara Lane Sliema, SLM 1670. Malta. SuperLenny casino works at casino software by the famous gambling developers. 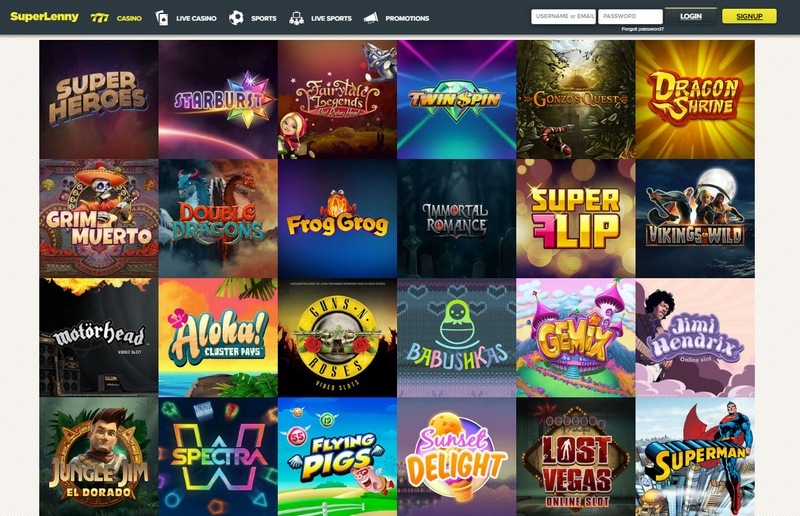 There are games from producers, for example, NetEnt, Microgaming, Quickspin, IGT, Ash Gaming, GTS, Playtech, Nextgen, Elk Studios, Betsoft, Yggdrasil, NYX, Thunderkick, Rabcat, Lightning Box, WMS and PlaynGo. The platform is translated into several languages (English, German, Swedish, Norwegian, and Finnish). It is possible to play a flash mode directly on the website (the client program doesn't need to be downloaded). The mobile version is also available on tablets and mobile phones. But the first what you pay attention to, having appeared on the website, is its stylish minimalistic design made in gray tones. In the casino, there are no excess sections, unnecessary information or persuasive animation. Games in the casino are more than enough: over 650 various modes. Besides, the game range is replenished from time to time, as the producer quite often indulges players with new developments. The main emphasis in the casino is put on slots – more than 300 various models. Among them are both classical automatic machines and modern 3D slots, including games with progressive jackpots (for example, Mega Moolah, Mega Fortune and so on). The second place is taken by board games. These are variations of roulette (American, French, and European), a blackjack, poker, and a Baccarat. Also on the website, there is a good collection of video pokers (38 models), lotteries (bingo, keno), and Arcadian games. The minimum sum for replenishment is 10 euro. The maximum sum depends on a concrete way and can be €2000, €5000 or even €500. You will be able to find more detailed information on replenishment & withdrawal of money in the special section on the official site. 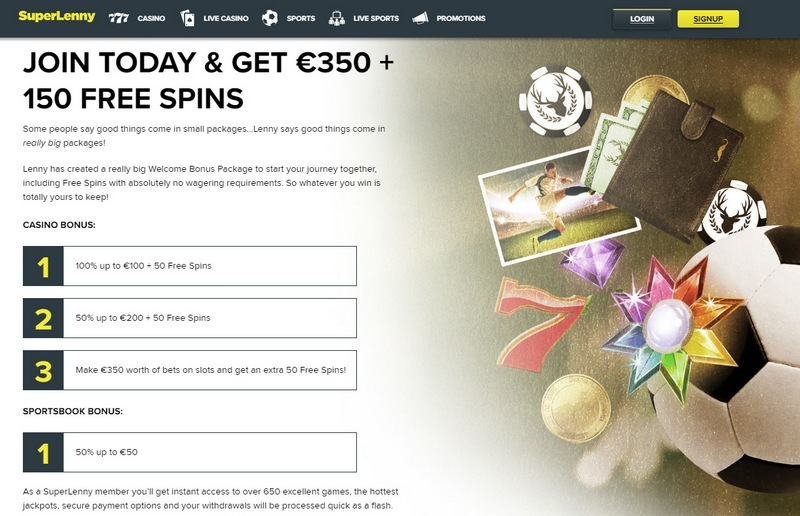 The company suggests receiving a traditional welcome package of bonuses for all beginners, but with the addition in the form of free rotations. It is divided on three deposits (100% to 50 dollars plus 50 free spins for each of the three first replenishments). 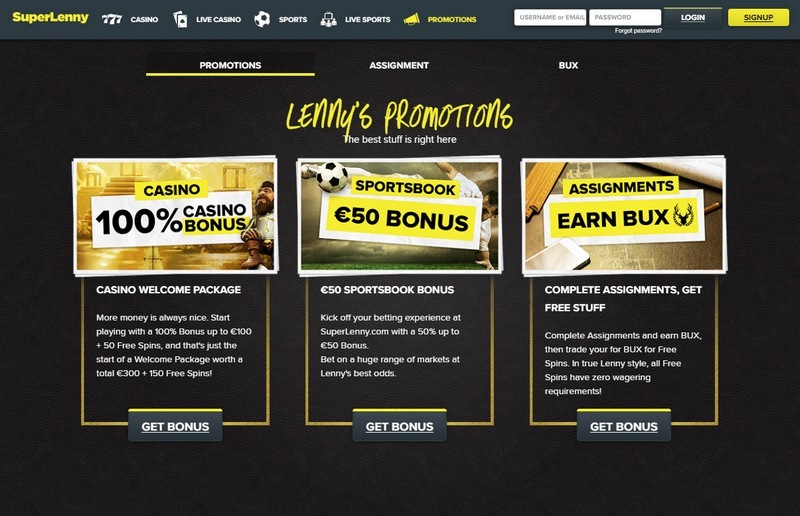 Except for a casino bonus package, there is an urgent offer on the bookmaker, in which the deer Lenny promises to return all money spent for stakes if Brazil becomes the world’s football champion. After that, the range of bonuses and actions comes to an end. Tournaments in the casino are also not held. Perhaps, new promotion actions will be added, but now it is necessary to be in line with what we have. The company doesn't create an active mirror for players from the forbidden countries. A game is possible through VPN (that isn't forbidden by rules of the website). In the arsenal of the website, there is a bookmaker office, where you will be able to stake on the sport with excellent coefficients. It is possible to contact the manager of support with the help of e-mail address. You can use Live chat, which is open from 10 to 24 o'clock. Support by phone is also available. It will process all requests in Sweden, Norway, Finland, Germany, and English languages.